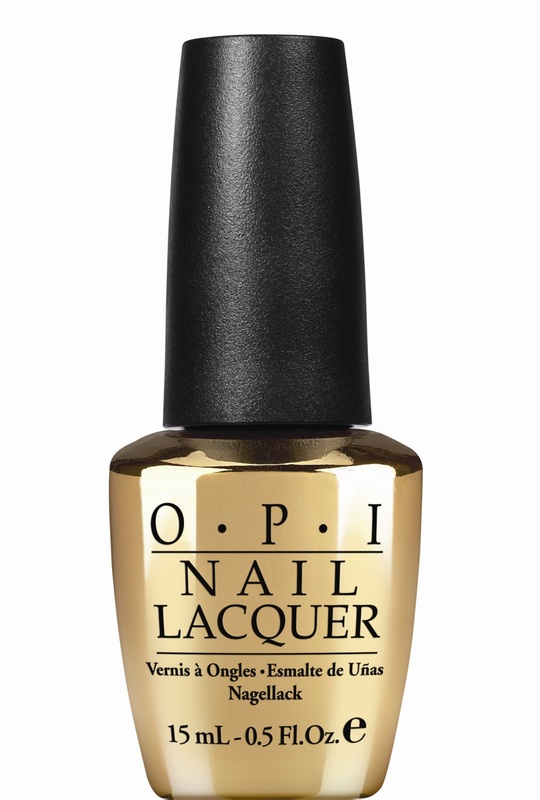 You may need to mentally prepare yourself for this upcoming OPI collaboration. To celebrate Skyfall, the latest Bond film coming this November, a 13-piece OPI nail polish collection inspired by the James Bond movie franchise is launching this October. Each shade is named after a Bond title! I got a chance to test out the colors early, and I may have found my new favorite shades for fall. Get a sneak peek of all the colors and hear what I think of them right here! I was really excited to get a first look at the Bond OPI collection at work because I’m really into rocking edgy neutral colors right now. I started off painting my nails with the steely turquoise shade, Live and Let Die. With one light coat, you’ll get the deep almost-black shimmer that you see in the bottle (love this- as black is always too harsh on me.) When it reflects the light, you’ll see the specks of gold that make up the formula. Each one of these Bond shades is slightly metallic, which makes them feel like they’re taken from paint swatches of his fast getaway cars! I added an accent nail of Golden Eye (below) to enhance the dark shimmer. Reds, purples, steely grays, and metallics are major upcoming trends for this fall, and this collection hits all of them. My only complaint with the line are that the colors, while great as a cohesive collection, are a little too similar. The Spy Who Loved Me and Die Another Day are practically indistinguishable until you try them on. I realize that the average woman isn’t about to go out and buy three shades of nearly identical reds, multiple steely grays, and a few glitters all in one go. The Man With The Golden Gun is a mysterious looking topcoat. You can’t see through the bottle, so it looks like a golden metal bullet. Why the mystery? Because it’s a top coat flecked with real 18 karat gold leaf. Yeah, it’s a total Bond Girl luxury. Let us know what shades you’re most excited about!